The beautiful rolling countryside that surrounds Gawler is famous for its iconic vistas that form the gateway to the Barossa Valley. 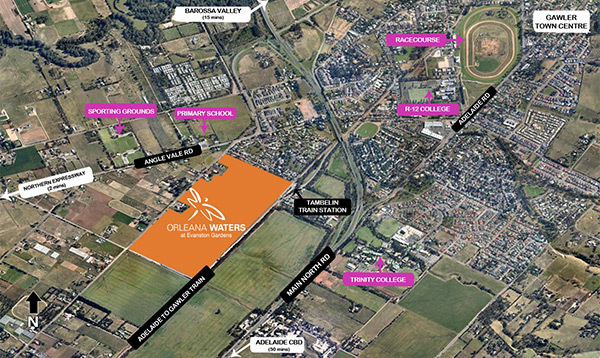 Orleana Waters is nestled in this delightful landscape and offers picturesque landscapes and wetlands. Carefully planned as an addition to the charming country town of Gawler, Orleana Waters is close to all amenities and services. 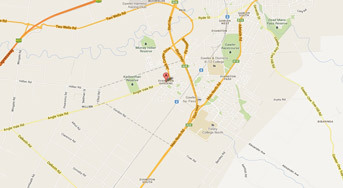 Commuting to Adelaide CBD is an easy 50-minute drive along the open country road. Just 5km down the road you’ll find shopping centres and grocery stores as well as services including banks, a railway, post office and medical facilities. And if you’re looking for a night out, there’s cafés, restaurants, sporting facilities, a cinema, a golf course and even a racecourse nearby too. 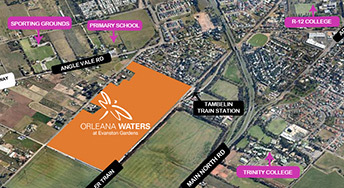 Several of Gawler’s primary and secondary schools are close to Orleana Waters, with Trinity College walking distance from all our homes. 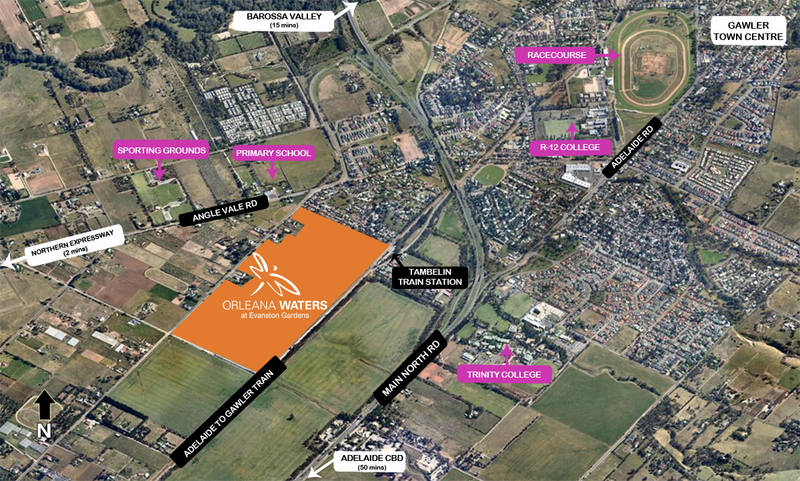 The convenience of Orleana Waters makes home and land here some of the most sought after property in South Australia. These quality releases won’t last long, so register your interest today.